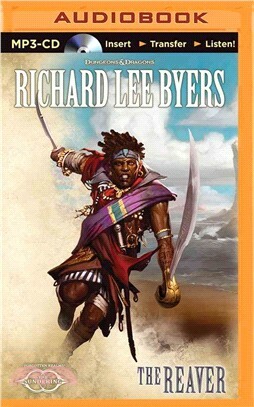 In the fourth book of the multi-author Sundering series launched by New York Times bestselling author R.A. Salvatore, Richard Lee Byers introduces Anton Marivaldi—a renowned reaver with an insatiable thirst for bounty and a moral compass that always leads him toward the evil he's never tried. Endless, pounding rains afflict the Sea of Fallen Stars and the coastal regions surrounding it. Harvests are failing, travel and trade are disrupted, and civilized forces are giving way to the deluges caused by the storms. In panic and despair, many have turned to the goddess Umberlee, Queen of the Deeps, offering her sacrifices with hope that they will be spared the inevitable reckoning of her perpetual tempest. Evendur Highcastle, undead pirate captain, risen from the depths to assume the mantle of Umberlee's Chosen, takes advantage of the people's desperation to strike for both spiritual and temporal power in her name. Vying with Highcastle for the hearts and minds of the people is Stedd Whitehorn, a little boy and the chosen of a god thought lost to time: Lathander, the Morninglord. In a time of such upheaval, Stedd’s message of renewal and hope runs in stark contrast to the savage ethos of Highcastle and his waveservants. When Anton captures the boy in order to collect Highcastle's considerable bounty, the reaver is quickly caught in the riptide caused by the sundering of worlds.